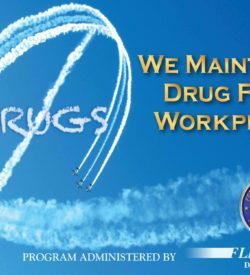 The Drug Abatement Division develops and implements regulations for the Department of Transportation and the Federal Aviation Administration’s drug and alcohol testing programs. These regulations cover employers – safety-sensitive employees – supervisors and service agents. These rules are encompassed in the 49 Code of Federal Regulations (CFR) Part 40 and 14 CFR Part 120. 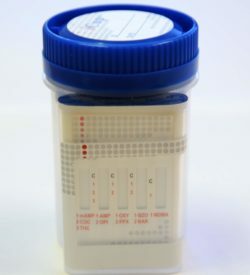 As you probably know, if you’re an employer of safety-sensitive employees, you are subject to drug testing regulations set up by the U.S. Department of Transportation (DOT) in response to laws passed by Congress. Now, the good news. Flightline Drug Testing has taken all the guess work out of complying with these sometimes ominous regulations. 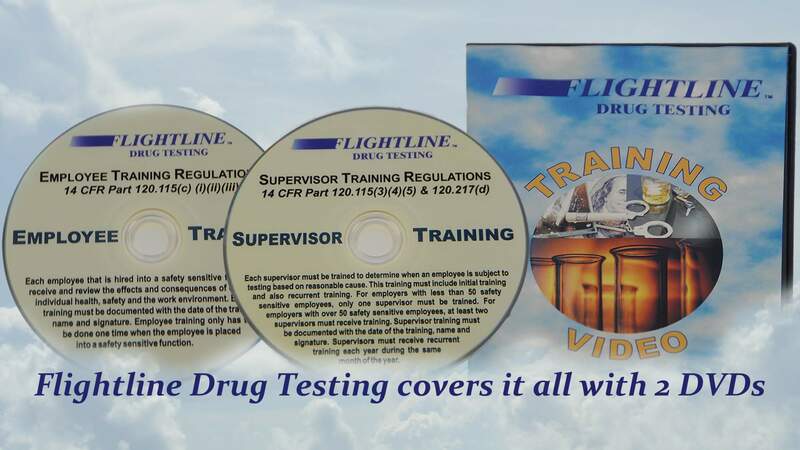 Above, you see Flightline’s Training Package with 2 DVD presentations … one for supervisors, one for employees. These cover everything you need to know about your responsibilities as an employee, or a supervisor in a drug testing organizational environment. The supervisor video is also the basis of our Online Retraining Course supervisors need to take at least once a year to refresh their memories of the rules and regs they are bound by. The DVD presentations can be a handy companion to the retraining course, and a good way to reference important information or do some on–sight training throughout the year. If you need help or have questions regarding DVD’s, call us now at the contact numbers below, or email your request to [email protected] and we will be more than happy to assist you.